Hello! I am a homeowner looking for a set of oversized centre doorknobs for my new construction English-styled cottage. We are wanting something similar to what is pictured here. 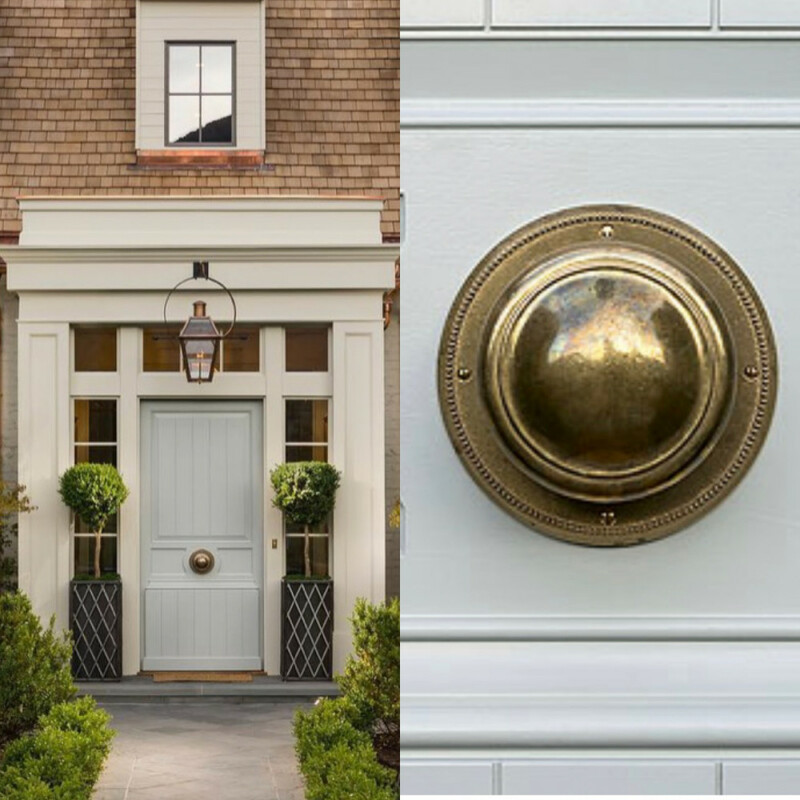 The style of the knobs is less important than the size and antique brass color. In our estimation this rosette is 7 or 8" wide, so we would like a similar size. Thank you, in advance, for your help. If anyone has anything like this, I would be thrilled to have it shipped to the U.S.